This SPACE: 1999 fan fiction was not created in an attempt to usurp any or all copyright holders of said television show. No profit is being made from the on-line distribution of this fiction. It's been posted for entertainment purposes only. Please do not take anything from this website without permission from the editor and/or artist of the following work(s). Sit back, read and enjoy. 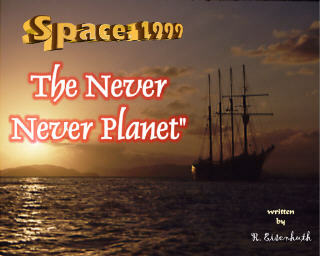 Back to the SPACE: 1999 Fan Fiction Page.